Work Permits - pick up a green "Request for Work Permit" from Mr. Kabel, our Work Experience teacher or from Mr. Isaac Gonzalez in the Counseling area. Yes, you do need a work permit if you are under 18 years old. This is the first site of its kind to provide printable job applications that allow users to apply directly to employers. We provide hundreds of printable and online applications for financial institutions, airlines, retail and department stores, pharmacies, grocery stores, and companies in many different industries. In addition, we have hundreds of unique, proprietary employee videos - we interview employees and ask them for inside tips on what it's like to work for their company, and how to get a job with their company. As far we know, no other job site provides this kind of information. 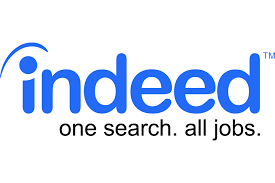 Visit Indeed.com for job opportunities and more resume samples.